Kyle Alexander brought down the first rebound, and Admiral Schofield made the first bucket on Senior Night for Tennessee on Tuesday night, and it couldn’t have started more perfectly for the Vols’ two scholarship seniors. And the ending was pretty sweet, too. No. 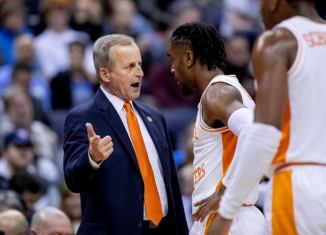 5 Tennessee (27-3, 15-2 SEC) downed Mississippi State (21-9, 9-8 SEC) by a score of 71-54 on Tuesday night in the last game in Thompson-Boling Arena for the 2018-19 season. The victory was Tennessee’s 26th-straight win at home, and the Vols close out the regular season undefeated at home. It marks the first time since the 2007-09 season the Vols have had an undefeated season at home. 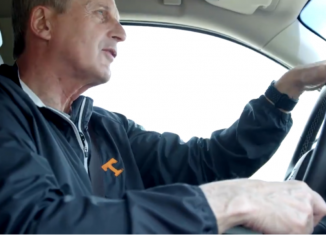 Not only did the Vols never lose at home this season, but they often blew out the teams that visited Thompson-Boling Arena. Tennessee went 18-0 at home this season, and only one of those games was decided by single digits. The Vols’ 71-68 win over Alabama on January 19th was the only home game the Vols didn’t win by double digits this season. As for Tuesday’s game, it looked like it would be close early on. Tennessee led for most of the first half, but it wasn’t a pretty half of play once Grant Williams had to sit. Williams picked up his second foul with 9:38 remaining in the first half, and he had to take a seat for the rest of the half. At that point, Tennessee led 22-15 over Mississippi State. The Vols would extend their lead to 24-15 a few moments later, but then the Bulldogs would go on a 10-2 run and cut UT’s lead to 26-25 with 3:29 to go in the first half. 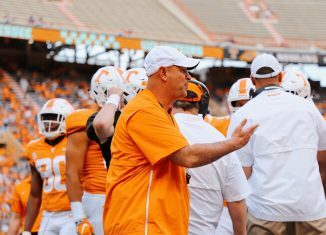 But the Vols finally stopped turning the ball over and finally got their offense going again over the last three minutes. Tennessee closed the half on a 6-0 run, including a Lamonte Turner made bucket as time expired before the halftime buzzer to give the Vols a 31-25 lead. Then, the Vols busted it open in the second half. UT went on a 17-4 run to start the second half, and they held a 19-point lead seven minutes into the final half. That would be all the Vols would need, as they would go on to bury the Bulldogs by the final buzzer. Mississippi State was held to just 25 points in the first half and 29 points in the second half, and the Vols poured on 40 points in the final half to run away with the game in the second half. Grant Williams continued to assert himself as the front-runner for the SEC Player of the Year award, totaling 14 points and 10 rebounds in just 23 minutes. 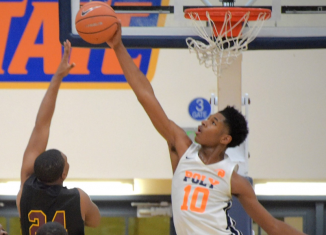 Jordan Bowden continued to play better, totaling 12 points and six rebounds in 25 minutes. Jordan Bone didn’t score much, only totaling five points on 1-of-7 shooting. But he dished out six assists and pulled down four rebounds in 30 minutes. 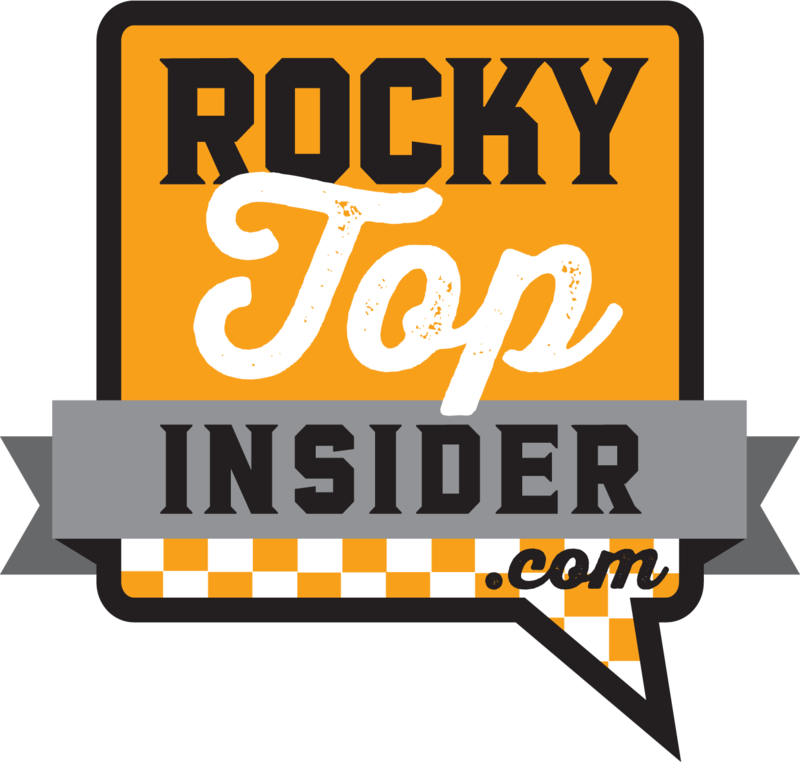 Here are our five biggest observations from the Vols’ impressive victory over Mississippi State in the final home game of the season. Tennessee’s defense was the big story in their 71-52 victory over then-No. 4 Kentucky on Saturday afternoon, and Vol fans were wondering if UT’s dominating defense was here to stay. On Tuesday, the Vols proved that their defensive effort against the Wildcats wasn’t just a one-game phenomenon. 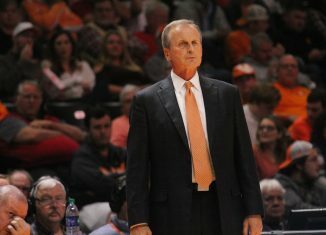 The Vols held a dangerous Mississippi State offense to just 54 points and 33.3 percent shooting from the floor. The Bulldogs were a capable three-point shooting team coming into the game, but they made just four of their 16 shots from distance against Tennessee. The Vols also forced 17 Bulldog turnovers and blocked eight shots. Tennessee’s defense held Quinndary Weatherspoon to just seven points on 3-of-12 shooting. Weatherspoon came into Tuesday’s game averaging 19.8 points in SEC play and 18.8 points on the season as a whole. The Bulldogs didn’t do themselves any favors, either. They missed 10 of their 22 free throw attempts and only totaled eight assists on their 19 made field goals. 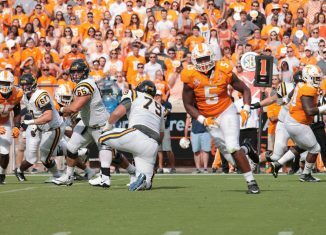 But the story for the second-straight game was UT’s defense, and it was impeccable for the second consecutive game. 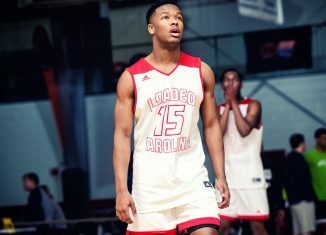 Admiral Schofield and Kyle Alexander played their last games in Thompson-Boling Arena on Tuesday night, and the duo turned in a solid performance in front of a huge crowd. Schofield made his first four shot attempts, and he would finish with a team-high 18 points on 3-of-4 shooting from three. He also had four rebounds in 33 minutes. 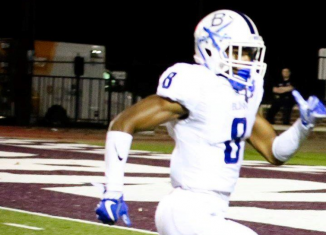 After struggling for the better part of a month, Kyle Alexander had his best game in a while. The senior center totaled six points and 10 rebounds in 25 minutes of action. He blocked four shots and only picked up two fouls as well. For Alexander, his 10-rebound performance marked the first time he pulled down double-digit rebounds since he grabbed 17 against Missouri back on January 8th. Walk-ons Brad Woodson and Lucas Campbell came into the game late, and Woodson drained a three that brought the Thompson-Boling Arena crowd to their feet. Junior forward Grant Williams joined some elite company during Tennessee’s victory on Tuesday night. With his put-back slam in the second half, he scored his 1,500th point as a Vol. He became only the 17th Vol to score at least 1,500 points in a career. Williams has totaled his 1,506 career points in just 94 games, giving him a career average of 16.0 points per game. Williams will have a chance to move up Tennessee’s scoring leaderboards in the coming games, too. He’s just 16 points away from passing Jordan McRae’s 1,521 career mark for 16th all-time in school history and 64 points away from passing Ron Slay’s 1,569 career total for 15th all-time. The Vols’ defense was extremely effective against Mississippi State, but the offense wasn’t always. And Tennessee’s rebounding was suspect at times on defense as well. 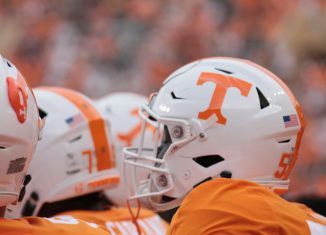 Tennessee turned the ball over 15 times against the Bulldogs, giving it away eight times in the first half and seven times in the second half. Mississippi State scored 13 of their 54 points off UT’s turnovers. 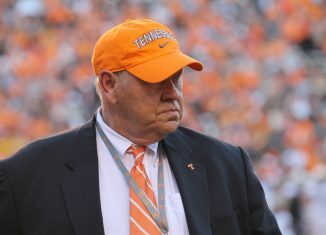 Not only that, but the Vols failed to box out on numerous occasions on the defensive end. Mississippi State out-rebounded the Vols on the offensive glass, pulling down 16 offensive boards compared to 15 by Tennessee. 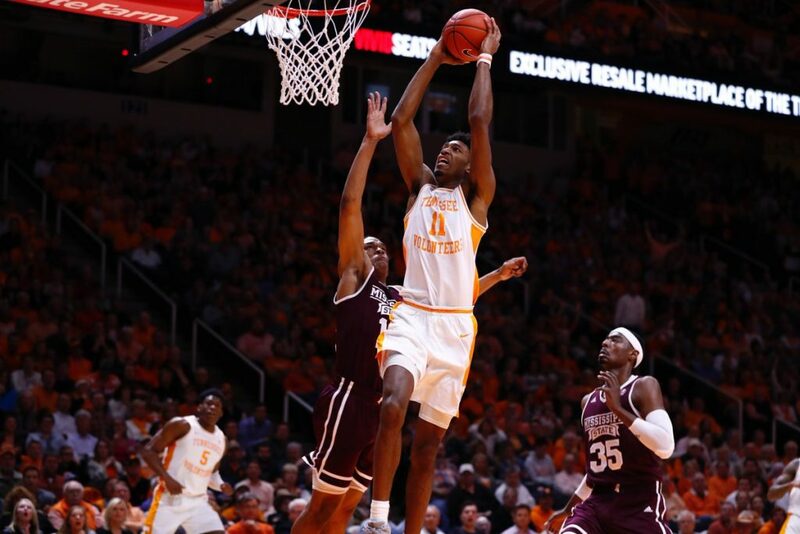 The Vols won the overall rebounding battle 44-40, but there were plenty of times where the Bulldogs extended possessions and got second or third opportunities. The Vols also weren’t great from the free throw line as a whole in the first half, but they cleaned up their mistakes there in the second half. Tennessee missed three of their five free throw attempts in the first half, but they closed the game making 11 of their 12 shots from the charity stripe in the second half. With the win, Tennessee is now in sole possession of first place in the SEC. For now, anyway. The Vols improved to 15-2 in SEC play this season, and they’ll await LSU’s contest against Florida on Wednesday night to see if the Tigers remain even with them atop the standings. The Tigers are 14-2 in conference play right now, but they did lose to the Gators the last time the two teams played. Tennessee won a share of the SEC regular season title last year when they finished tied atop the standings with Auburn. UT has never won back-to-back SEC regular season titles in school history.